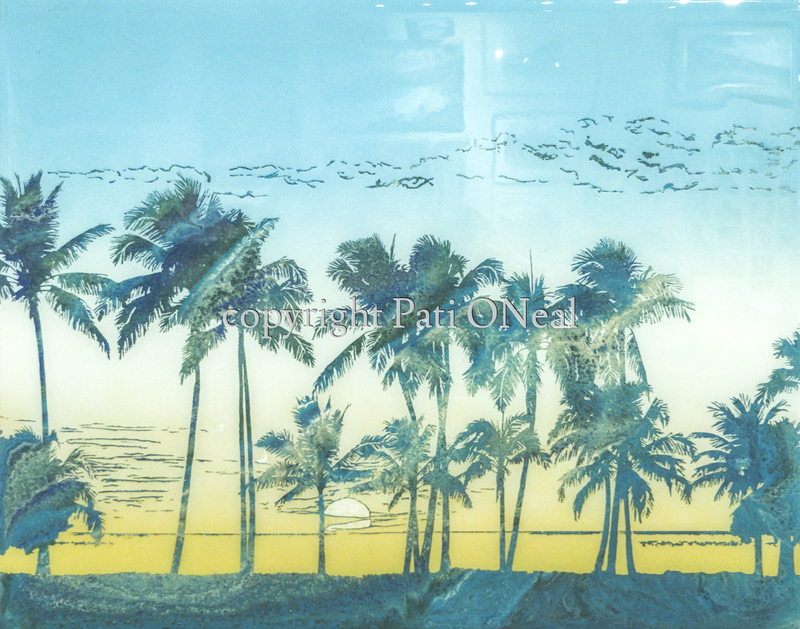 Summertime at Ko Olina in West Oahu is portrayed in this resin painting with the pattern of the underlying layers giving the feel of tropical breezes through the palms. The final appearance is created through the application of multiple layers. This original work is currently available at Island Treasures Gallery in Kailua, Oahu. For a similar commission, contact the artist.